The Fun Park is a of fun and entertainment around the golf. Recreational and fun, the Fun Park offers an ideal setting for family outings, with colleagueson team-building days, or with friends. Offering activities for adults and children alike, from an early age, the Fun Park is a leisure center that will allow you to get acquainted with golf while having fun ! Pro1Golf Entertainment Center - Golf des Lacs revolutionises mini-golf and offers you an incredible hole adventure course that simulates a real golf experience. Challenge your friends and family on our unique and entertaining course ! For both adults and children, the Putt-Putt course benefits from an irreproachable artificial turf and theme installations that are not to be missed ! Discover this new sport, a bold mix of football and Golf. An unprecedented gaming experience. ﻿FootGolf is new trend in Golf ! 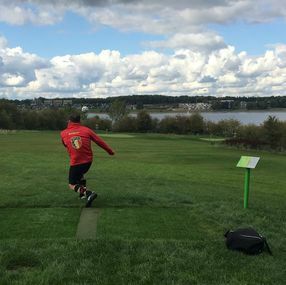 Thanks to simple rules and technique, Footgolf is easy to learn and fun to play. ​Try it with family or friends, you will be guaranteed a fun afternoon ! Do you prefer long game ? Have fun on our fantastic Pitch&Putt game : 9 recreational holes that can be played from 6 years old and without any basics of golf. Easy to understand, this is the first experience on a golf course that you want. 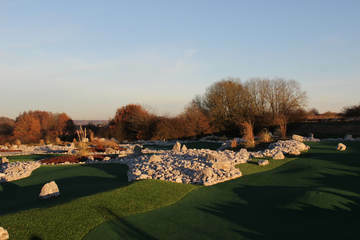 Beginner or elite player, all will be able to have fun on this Pitch&Putt course which has holes from 50 to 100 meters ! 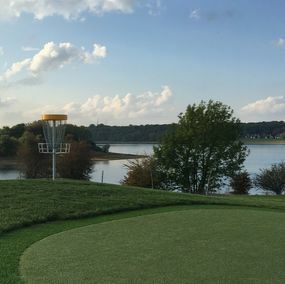 Disc Golf is an intergenerational discipline that is played with "discs" (frisbees) with variable properties, according to the rules of golf. Very easy to practice, it combines the player's observation, reflection and adaptability abilities with a good dose of fun. Notice to the amateurs !